Learn about the many benefits of crowdfunding and what it can do for your business! 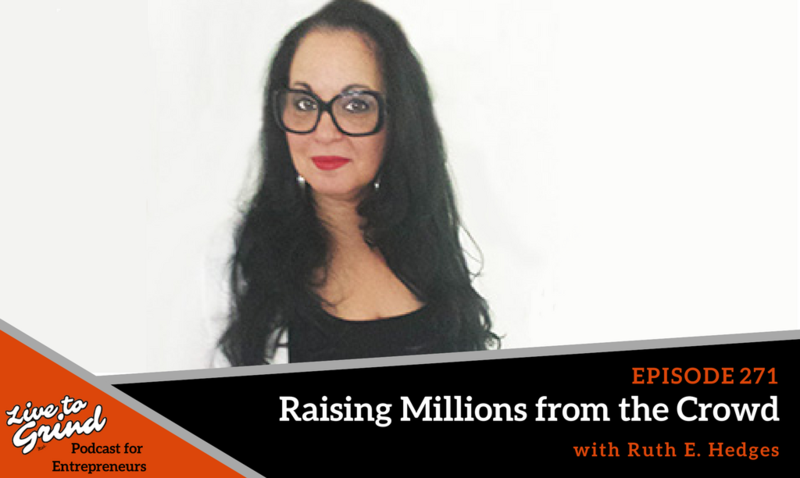 Brandon chats with Ruth E. Hedges about crowdfunding and shares tips on how to make your campaign a success. Get your tickets now and use the 20% off coupon code! – How Ruth went to congress and got crowdfunding started. – What the process of crowdfunding will look like for entrepreneurs. – The difference between raising money through reward based and investors. – The importance of your social footprint. – Ruth shares some techniques on how to get exposure for your campaign. – The future of crowdfunding. – The benefits of crowdfunding beyond raising money. Ruth is recognized as one of the world’s foremost authorities on crowdfunding and honored to be one of the original pioneers of the legislation that was ultimately signed into law as Title lll 4(a)(6) – the crowdfunding bill in the JOBS Act on April 5, 2012. For that work, Ruth was honored with an invitation to the White House for its Crowdfunding Champions of Change event, and to Capitol Hill to showcase her technology CrowdfundingCRM to members of Congress and the World Bank. CrowdfundingCRM is a crowdfunding campaign builder, marketing automation system and a social media platform, the first of its kind built for crowdfunding with robust analytical and marketing tools and much more. Ruth is also the founder and CEO of Crowdfundingroadmap Inc which operates the Flagship Global Crowdfunding Convention the world’s first annual crowdfunding convention that she created 6 years ago The GCC World offering the most resourceful crowdfunding advocacy with over 50 world-class keynote and influential speakers. It also includes an experienced panel of expert discussions and a lot more. Ruth’s initiatives towards crowdfunding advocacy have landed her in nearly 60 publications, which includes multiple times in Forbes, Entrepreneur Magazine, The Wall Street Journal, Inc Magazine and many other major media outlets. As a forward thinking Innovator– being an early advocate of the potential of crowdfunding, she landed Microsoft as the lead sponsor of the upcoming 6th Annual Global Crowdfunding Convention on October 23rd and 24th at Planet Hollywood, Las Vegas. She is also the co- publisher of Crowdfunding America Magazine.